The SM Group and Waltermart Shopping Center is formally showing to the public its partnership with the initial renovation of Waltermart Cinemas by upgrading it, utilizing the E-Plus card system and also the Snack Time brand. 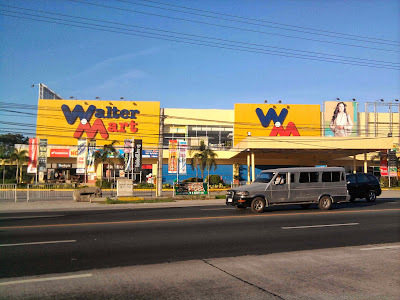 The "Free Movie Day" launched by Waltermart this December 11, 2013 will in someway be an indirect way of telling the public that SM is taking over some things in these stores. Contrary to rumors however, Waltermart had not been bought by SM Group thus existing Waltermart locations will be kept. This is for the main reason that the partnership is built on - getting into strategic locations to compete and keep hold of its territory against its closest rival Puregold. According to its own website, SM Prime, “From a strategic perspective, this is a good counter-move on the part of SM Retail, which lost some market share to Puregold in recent quarters. It signals to Puregold that SM is willing to defend its core markets. At the same time, [it] limits the M&A (merger and acquisition) options of Puregold. If Puregold had plans of expanding into the department store and mall operations market, this joint venture just made it much tougher to execute those plans,” said Jose Mari Lacson, head of research at local brokerage Campos Lanuza & Co. The SM Group is also trying to take ahold against set plans by its other competitors mainly, Gokongwei-led Robinsons Land Corp. and Ayala Land Inc. have likewise programmed expansion projects. “We’ll both be in it, it will be 50-50. But they’ll (Waltermart Group) still do the management,” Teresita T. Sy-Coson, SMIC vice-chairman, told reporters last Friday on the sidelines of the annual reception for the banking community at the central bank compound in Manila when asked for updates on the partnership of SMIC units SM Prime Holdings, Inc. and SM Retail, Inc. with Waltermart Group. Does this mean that we will be left with no choice but SM? Competitors are always good since it gives lower prices and better options, so as a consumer I will always want that other competitors also do something and in some way no monopoly will be established. What do you think of this partnership by the SM Group and Waltermart? Good or bad?